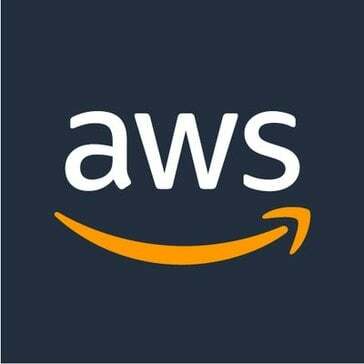 Work for AWS Security Hub? Learning about AWS Security Hub? "Keeps You at Ease "
I like that this security hub is easy to use and keeps me at ease. The large range allows to me have a good eye on security alerts. I am also able to have one central area that will prioritize my security alerts. It is easy to monitor the program and identify any threats. I think it is beneficial that the findings are summarized but it can also be a con because you do not receive as much information. It can also be a bit confusing to read and understand the graphs and tables sometimes. This will be very helpful and will definitely help solve multiple security problems that you will encounter. "Great Experience using this servise"
WS Security Hub provides a comprehensive view of your high-priority security alerts and compliance status across AWS accounts. I wasn't too sure what to expect when taking up services, but the professionalism from the site to the customer services is the slickest i have ever experienced. range of powerful security tools at your disposal, from firewalls and endpoint protection to vulnerability and compliance scanners. The features that are provided by AWS Security Hub are very useful to my organization. I am able to save a lot of time through the security findings that this service provides. Sometimes the security alerts are delayed by 30 min which I would recommend Amazon to fix as soon as possible. Be thorough with the pricing before you actually purchase the subscription. I handle quite sensitive data for my organization, to secure it and my other programs I use this service. This is a valuable tool to prioritize and organize all of your security alerts/compliance. I have nothing bad to say about this. This makes security easy. It organizes all of your security tools in one place and eliminates the need to switch back and forth. * We monitor all AWS Security Hub reviews to prevent fraudulent reviews and keep review quality high. We do not post reviews by company employees or direct competitors. Validated reviews require the user to submit a screenshot of the product containing their user ID, in order to verify a user is an actual user of the product. Hi there! Are you looking to implement a solution like AWS Security Hub?